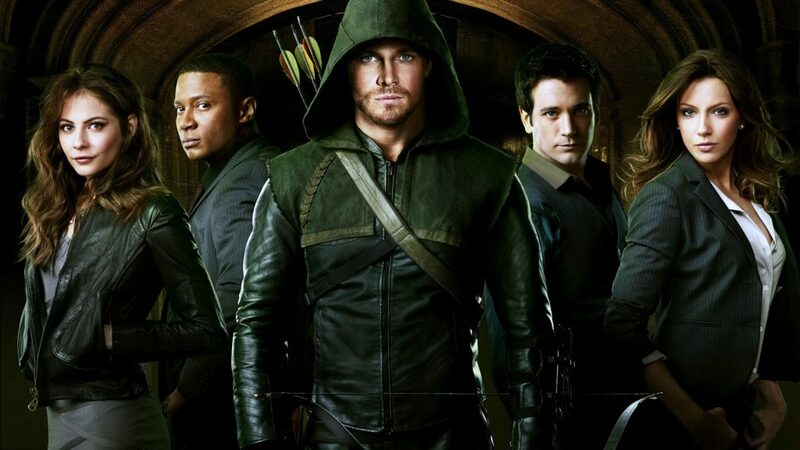 Arrow season 2 follows the adventures of Oliver Queen AKA The Arrow in his self appointed mission to save his city. The CW hosts Starling City and Team Arrow from the DC universe. The cards cards are standard issue size and are mostly vertical with the occasional horizontal card fronts. The set logo is centered prominently in the center of the card bottom. The card fronts are border-less save for a graphic behind the logo. The fronts also contain a phrase or a quote from the pictured scene. 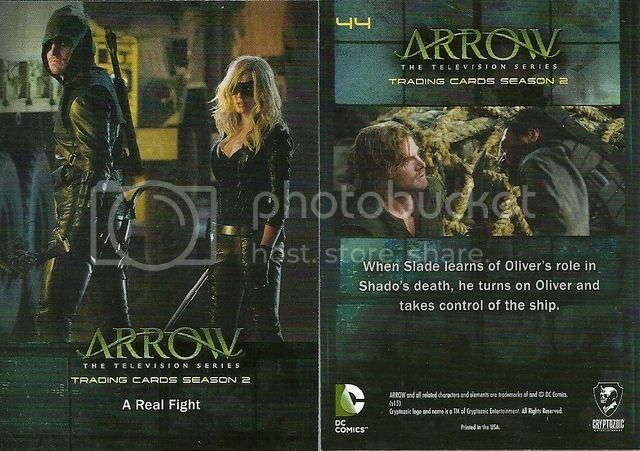 The cards backs contain a smaller image from the same scene and a brief synopsis. I will admit it. I have been a Marvel fanboy my whole life and did not follow DC comics, at all. After busting this product though I binge watched until i caught up to the current 4th season! The picture selection is awesome capturing many of the iconic and plot twist events of season 2. Who does not like pulling a complete base set form a single box? Who does not like pulling complete insert sets form the same box? 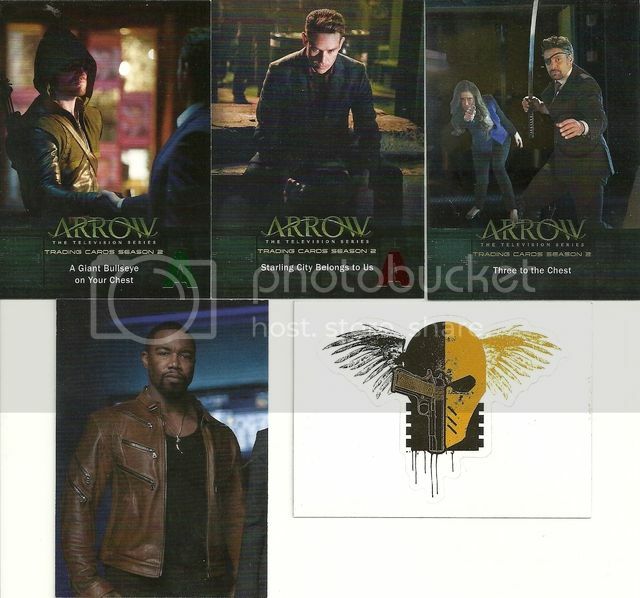 I would give Arrow Season 2 a strong buy rating on those facts alone as set builders will get their moneys worth. Fans of the show and super hero fans in general will also love this product as well though! Thanks to Cryptozic for making this review possible!